You may have heard of Veganuary recently, where people are going vegan for the month to try out a cruelty-free and plant-based lifestyle/diet. 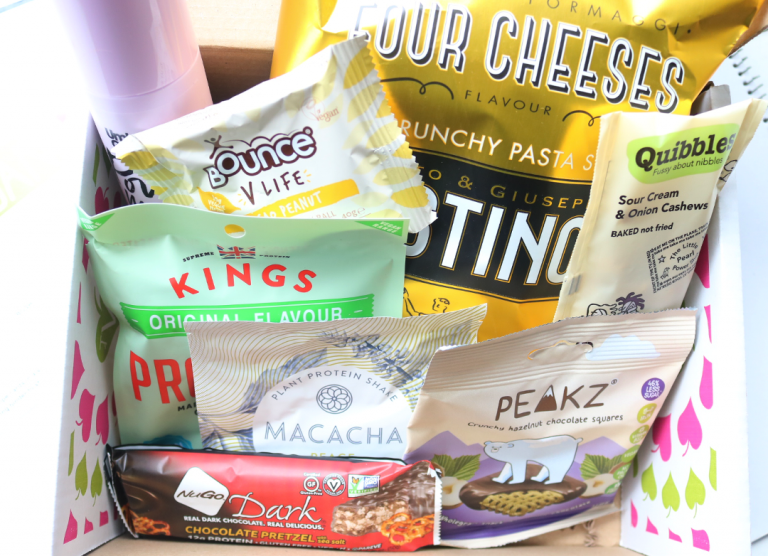 Whether you’re taking part, are currently vegan or are just curious to try something different and new, The Vegan Kind is the monthly subscription box for you! 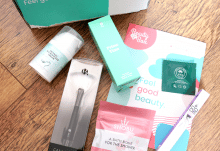 Each box contains 5-8 products from a variety of categories such as food, drink, toiletries, household, lifestyle and more, and everything has been checked and verified so that it’s 100% vegan-friendly and cruelty-free. Think you have to give up cheesy snacks when you go vegan? Think again! 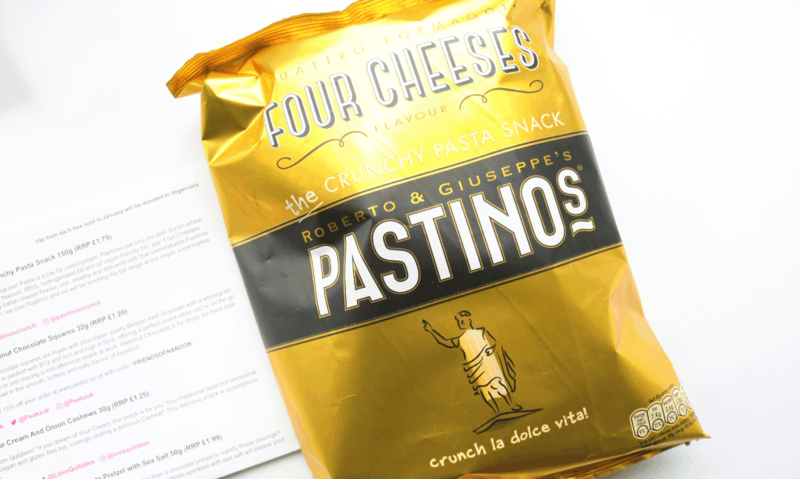 This delicious bag of Pastinos has a rich and creamy four cheese flavour and as they’re made 100% pasta, this snack is a low GI carb and free from artificial flavours, colours, MSG and hydrogenated fats. I really liked these and would definitely buy them again! 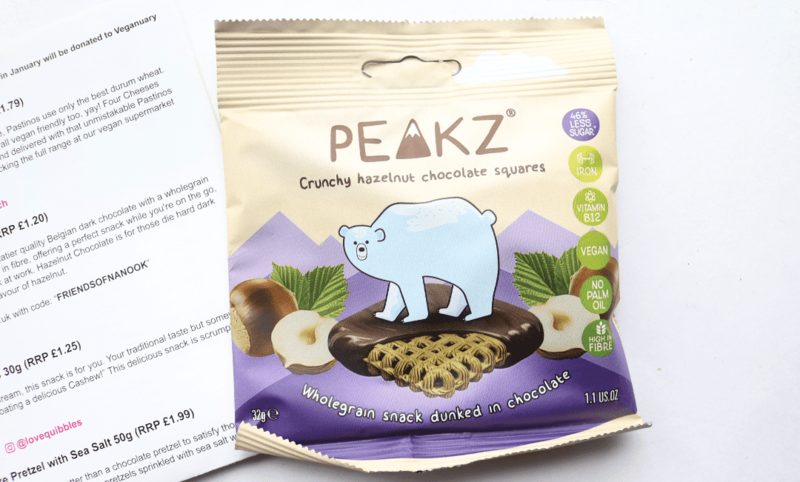 How cute is this bag of Peakz? Featuring crunchy wholegrain and hazelnut flavoured squares which have been dunked into Belgian dark chocolate, these moreish bites are perfect for a mid-afternoon snack. Free from palm oil, high in fibre and fortified with Vitamin B12 and Iron. 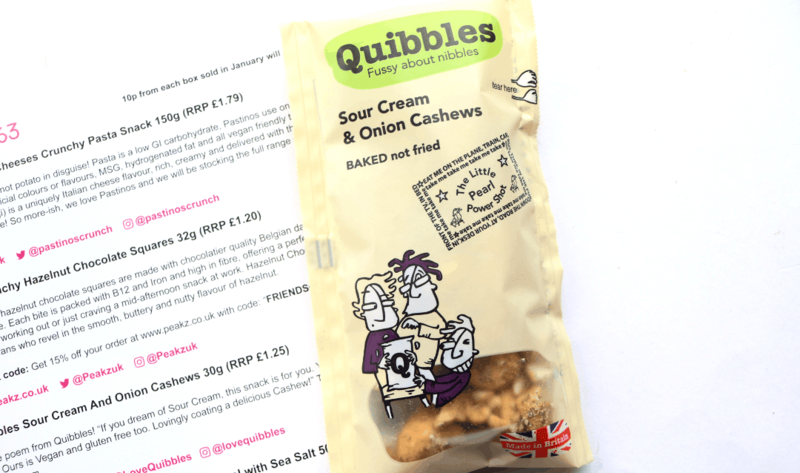 I love cashews so I was happy to see this Sour Cream and Onion flavoured bag from Quibbles. Made in Britain, these savoury cashews are absolutely delicious! 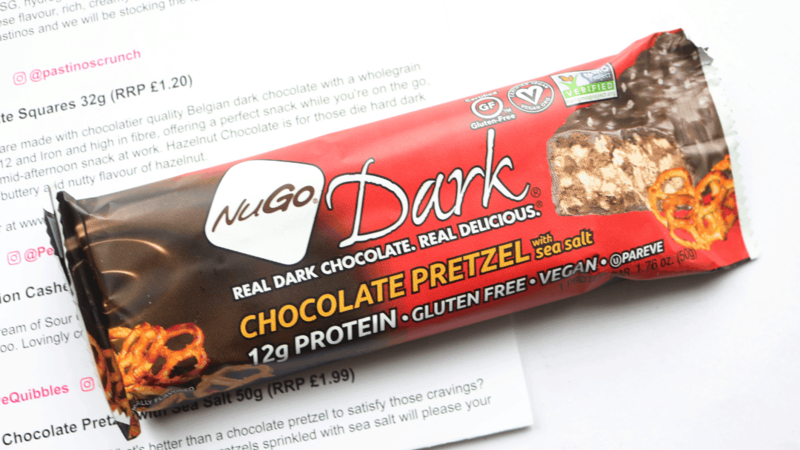 For a post-gym/workout snack to refuel your body, you can’t go wrong with these bars from NuGo Nutrition. This one is Dark Chocolate Pretzel with a hint of Sea Salt for that awesome crunchy chocolate/salty taste sensation and it’s SO good! Packed with 12g of plant-based protein and gluten-free. I love Bounce balls and regularly buy them online to have as post-gym snacks or as a breakfast/snack on the go if I’m in a hurry. 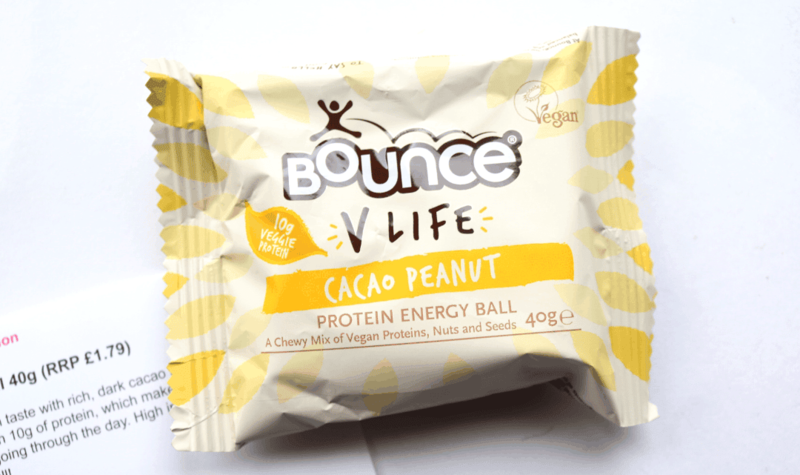 They have a whole range of vegan-friendly energy balls called V Life and this Cacao Peanut is one of the newest additions to this line. It contains 10g of plant-based protein, is gluten-free and free from preservatives – the perfect snack for your gym bag! Looking for a vegan alternative to beef jerky? This is it! 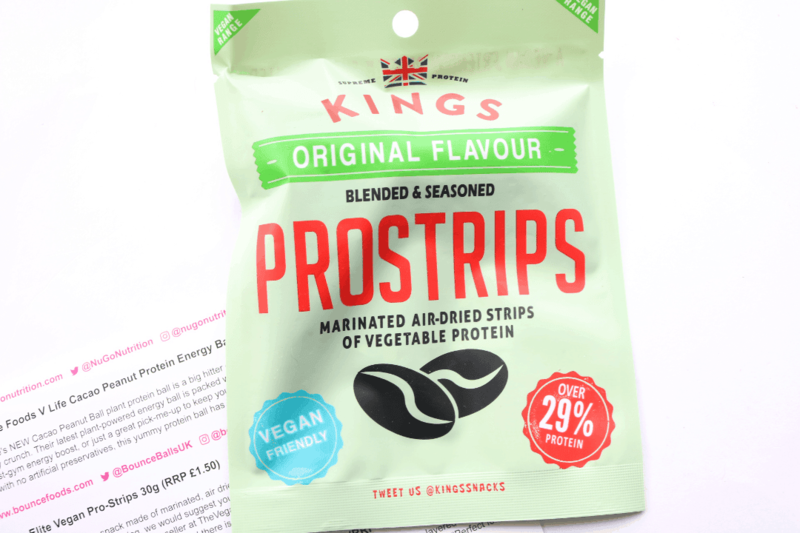 This vegan-friendly protein snack is made from marinated, air-dried vegetable protein strips for a satisfyingly chewy and savoury snack whenever you fancy it. Each pack contains over 29% protein too so no wonder it’s a bestseller at The Vegan Kind supermarket. 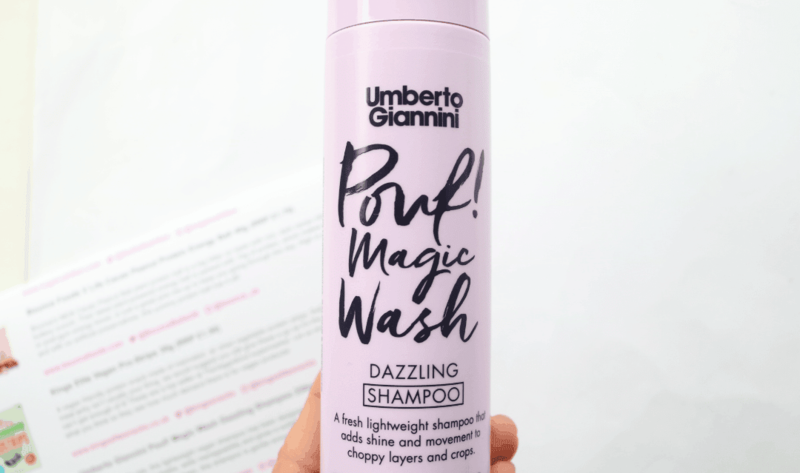 This month’s non-food product is a bottle of shampoo from Umberto Giannini. Designed for hair that’s been cropped or cut into choppy laters, this lightweight and fresh shampoo adds manageability and a sublime shine, whilst also being hydrating. I don’t have short hair but I’m tempted to give it a go to see what it’s like anyway. 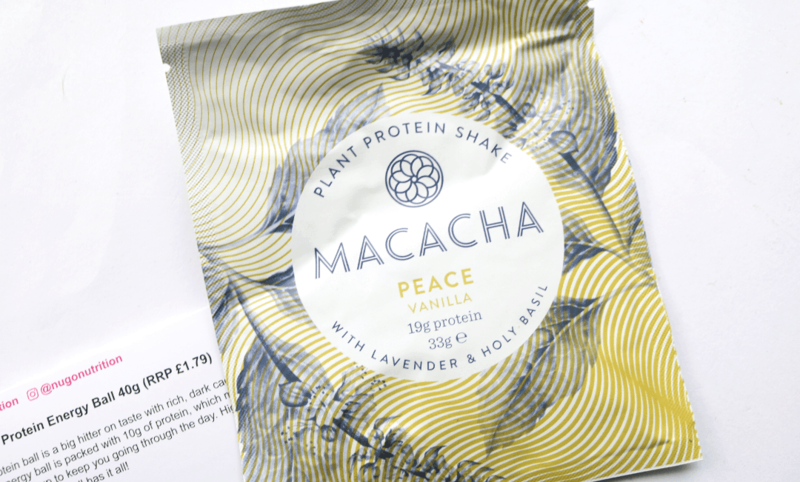 The last product in this month’s The Vegan Kind box is a sachet serving of Macacha Protein Shake and you’ll receive either the Peace or Energy blend. 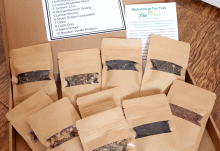 I received the former which is a tasty Vanilla flavour with a subtle hint of Lavender and Basil. Easy to mix with your favourite nut milk/dairy-free alternative, each serving contains a whopping 19g of plant-based protein. 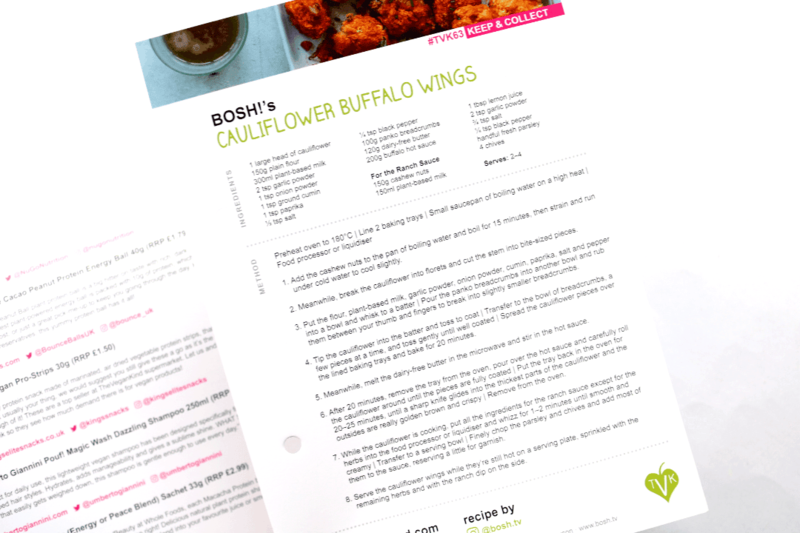 At the bottom of the box, I found a recipe card for Cauliflower Buffalo Wings which sounds very tasty! 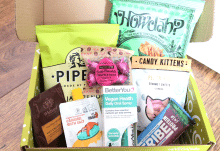 An amazing box to start off the year with and a great way to join in with Veganuary! How would you rate The Vegan Kind ?